Although some people think of a vacation as a chance to recline on a sandy beach on a tropical island, some of the very best getaways include a drastically different climate: Fresh snow! If you love skiing, then a destination like Aspen, Colorado, is the ultimate place to visit. For independent travel agents, travel booking services like Apple Vacations is a fantastic resource that offers fantastic deals and packages for families, singles and other thrill-seekers looking to book an unforgettable winter vacation in the mountains of Aspen. One of the biggest reasons that Aspen is considered to be one of the ultimate destinations for a skiing vacation is because it has four enormous peaks to choose from. 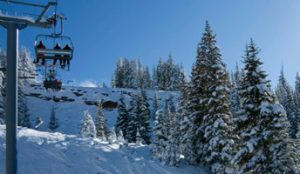 Snowmass, Buttermilk, Aspen Highlands and Aspen Mountain are all incredible spots where visitors can soar down the mountains in gorgeous white snow. Thankfully, you don’t have to be an expert to take advantage of the fantastic skiing conditions in the Aspen area. There are also plenty of private and group lessons for children and adults alike to learn the ropes and improve their skiing ability. 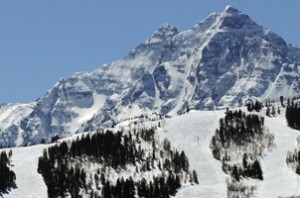 Ski rentals are widely available throughout Aspen for visitor convenience. In some groups, there may be a person or two who isn’t wild about skiing, but that doesn’t mean that Aspen is off the table for a vacation destination. During the winter, the snow-covered slopes are perfect for sledding, taking sleigh rides or even getting a serious rush through snowmobiling. Off the slopes, Aspen boasts hiking as well as some of the best dining and nightlife scenes in Colorado. Try rustic Rocky Mountain cuisine, fresh game from the local area or European specialties before donning your dancing shoes and hitting the town for a night of fun. Aspen is an exciting destination that has appeal to children, teens and adults in search of an unforgettable time. To make a stay in Aspen more attractive to potential clients, booking a complete vacation is the answer. Apple Vacations for example, offers packages that contain everything a visitor might need in order to have an amazing time in Aspen. The best packages include car rental, reservations in an Aspen hotel and tickets on the ski lifts. Along with potentially saving money by bundling all your travel needs into one package, this purchase can make booking a vacation to Aspen less stressful and time consuming. As a travel agent, your job will be to ensure that travelers have a memorable vacation that meets all of their needs and wants. For those who want to ski and enjoy a winter wonderland, Aspen can be a delightful destination with nonstop fun and adventure. Travel agents can share the appeal of Aspen to guests as well as present them with packages at different price points to fit their individual budgets. Apple Vacations boasts packages with accommodation in smaller lodges as well as in upscale resorts, which means that there truly is something for everyone. If you are lucky enough to be an independent travel agent who works hand in hand with a host travel agency, you will have access to resources and potential commissions when it comes to booking services like Apple Vacations. This can help you please clients and keep them happy when it comes to vacation or business travel.